The continent can be build using noise filter. 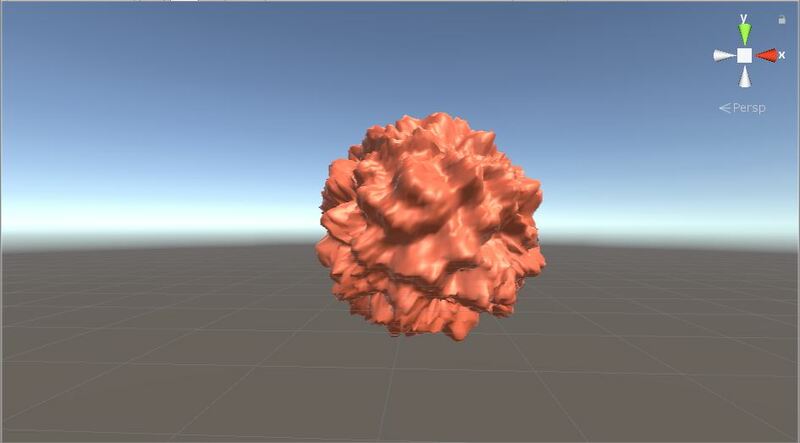 The noise filter will give random value to the mesh position and will affect the altitude in the sphere. This function will help to build a continent in the sphere. This file is part of libnoise-dotnet. along with libnoise-dotnet. If not, see <http://www.gnu.org/licenses/>. Some changes by Sebastian Lague for use in a tutorial series. * Noise module that outputs 3-dimensional Simplex Perlin noise. * This algorithm has a computational cost of O(n+1) where n is the dimension. * -1.0 to +1.0, but there are no guarantees that all output values will exist within that range. /// some of them pre-multiplied. // Determine which simplex we are in. // where c = 1/6. // Add contributions from each corner to get the final noise value. /// Unpack the given integer (int32) to an array of 4 bytes  in little endian format. /// If the length of the buffer is too smal, it wil be resized. Using script above we can shape the sphere to looks like the picture below. Basically, I get the vertices value and multiply it with roughness and strength. 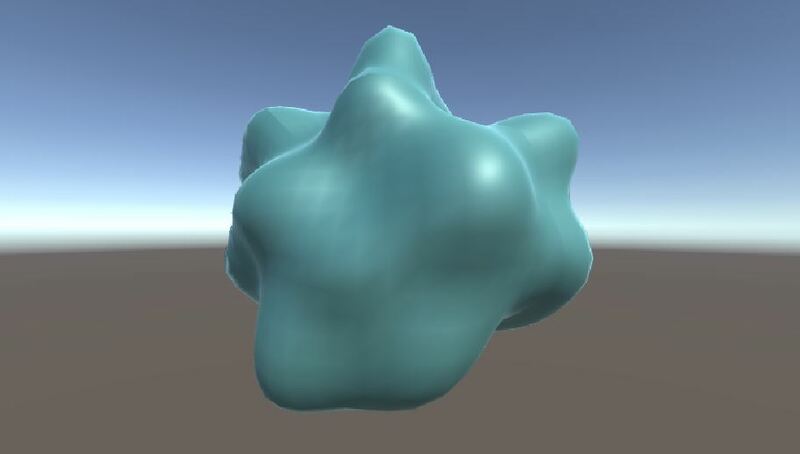 After we put the value to the noise filter to get new vertices. All those vertices will change the shape of the sphere. However to make the planet we need ocean and continent. To make this happen we need to add a variable called minimum value. This variable will filter some value and make it become zero. The zero value will become the ocean in this case.